1) Turn off and disconnect gas cylinders. 2) Clean cassette toilet and empty flush water. Use Thetford’s maintenance spray to lubricate the shutter and gasket (between the toilet bowl and cassette). Leave the shutter open to avoid it sticking. 3) Drain all water from the system where possible, leaving the drain plug open and the taps in the mid position (some Truma heating tanks cannot be drained and there are a few manufacturers that recommend that you do not drain the boiler.). Ensure Aqua Rolls and water containers are empty and dry to prevent mould growth. 4) Check fixed ventilation apertures are not obstructed. 5) On caravans where there is a water filter, either fully remove it or make a note to replace before using your caravan in the Spring. Frost and damp may damage the filter. 6) Ensure that the blown air system is turned off. 7) Even though the caravan is in storage it is important that the caravan is not overloaded and that the contents of the caravan are distributed properly. 8) Pull the curtains (to stop the sun from fading the upholstery), note: it is best to leave the blinds up as if left down for an extended period of time the spring in the cassette may stretch. 9) If possible disconnect the leisure battery and store the battery in a dry frost free place at home. Periodically charge it. Some alarm and tracker systems require your leisure battery to be in place others may have an internal battery (check which is the case for your system). 10) Do not put vermin bait, traps or poison inside your caravan, as this will only attract vermin into your van. Piran Caravan Storage take every possible precaution against unwanted vermin. 11) Clean all the cupboards (especially food storage areas) and remove all foods. 12) Empty and clean the fridge, leave the fridge door ajar (there is often a ‘built in’ catch for this purpose). 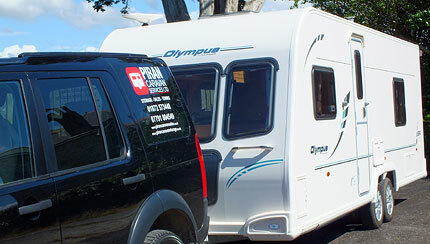 13) Where possible remove bedding, linen, soft furnishings and clothes which may be affected should the caravan become damp. Leave fixed beds in the open position to aid air circulation. 14) Lubricate the locking components of the hitch locks and wheel clamps so they do not become seized during the storage period. 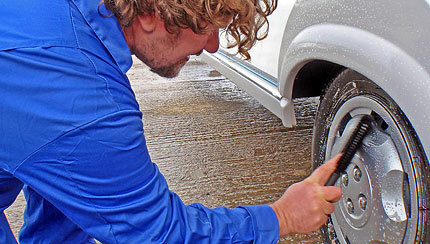 15) Protect towing electrics plugs from corrosion and dirt by spraying them with WD40. 16) Ensure all doors, windows and roof lights are correctly fastened. A smear of silicon grease on the window rubbers prevents them from sticking to the windows and damaging the seal. 17) PCS store your van with the stabilisers down, chocks behind the wheels and with your hand brake off to reduce wear and tear on the braking system and to prevent the drums from sticking. 18) The hitch head will be checked to see that it is fully extended and that there is no load on the braking system by PCS when storing your van. 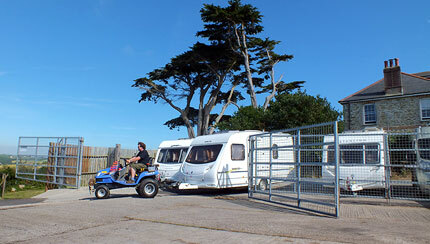 19) We would advise that you do not use a cover as all our storage is undercover and if a cover is used condensation and mould may form on the caravan. 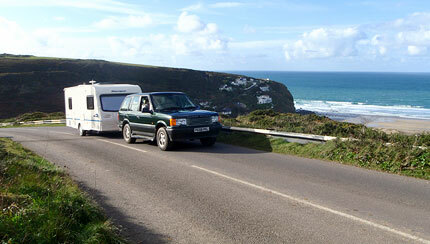 20) Remember to check your caravan for road worthiness when picking up your van from storage (i.e. lights, tyre pressures, braking system and general condition etc…). 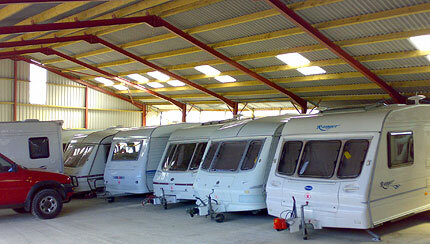 Remember that whilst your van is in storage we can arrange an annual service and valet your caravan.